There is no question about it. The magic lantern is a splendid looking beast- all shining mahogany and gleaming brass. But what does this strange object mean to us in our high tech digital world? Beyond a kind of steam punk charm, what does it have to offer a modern audience of today? For a long time, the magic lantern was dismissively relegated to the store cupboard of ‘pre-cinema’ technology. One of those dinosaur devices which, in hindsight, were but stepping stones to a shiny, brighter future. This has always struck me as rather lazy thinking. The lantern may provide a crude technological blue print (put a light in a box- make a hole in the front- allow the light to pass through a transparent medium- stick a lens in the front- make something happen on a screen), but that is a pretty inadequate explanation of the origins of the film movies. Instantaneous photography, theatrical traditions of slapstick and melodrama, the mechanism of the sewing machine, the economics of fairground shows and many more disparate strands were all woven together to kick-start the first jerky and stuttering film projections. As so often with impressive discoveries which seem to herald a new era, film never entirely eclipsed the old magic lantern which proved something of a survivor. First produced in the 17th century, the lantern soon part of a commercial market. The diarist Samuel Pepys bought one in Cheapside shortly before the City of London was ravaged by fire in the 1660s. It found its way into the Cabinets of learned savants of natural philosophy alongside the microscope and the telescope, but always sat rather uncomfortably. Beyond showing images of discovered knowledge (curious animals, natural phenomena, the geometric orbits of the solar system) it wasn’t really a tool for discovery. Pretty soon it became clear that it served a dual purpose- as a teaching tool and, above all, as an entertainment. Showmen delighted in creating a fantastical world of subversive humour or scaring the living daylights out of gullible punters. Fast forward a couple of hundred years and the magic lantern was in its heyday. Lanterns stacked on top of each other in towers of three or even four looked hugely impressive when placed in the centre of vast auditoriums like the Royal Albert Hall, and could create screen images of extraordinary complexity and beauty. At the other end of the scale, cheap tin toys imported from Germany and France were part of many childhoods- notwithstanding the highly flammable oil lamps used to provide illumination. They weren’t so bothered by such concerns in those days... Nor were these entertainments confined to the playrooms of the bourgeoisie. Organisations like the Band of Hope (still active today as Hope UK, rehabilitating those with drug and alcohol dependencies) harnessed the lantern to put their message across to the young. 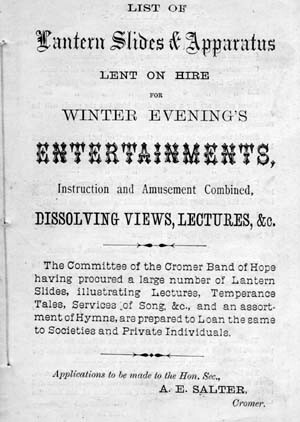 By the end of the nineteenth century it is estimated that a third of all children and young people, some 3 million in total, had joined that organisation- attracted in large part by highly entertaining lantern shows which were offered for free of charge to anyone agreeing to avoid the temptations of alcohol. Fast forward again to the Edwardian era and we find the lantern and film happily co-existing. Until WW1, it was almost unheard of for a film projector not to double as a magic lantern. Hybrid machines were designed to show both media- a practical consideration at a time when films were still relatively short and the showman needed something on screen while he changed reels. Even up to the Second World War and beyond cinemas used magic lanterns to show announcements, advertisements for coming attractions and adverts for local films. 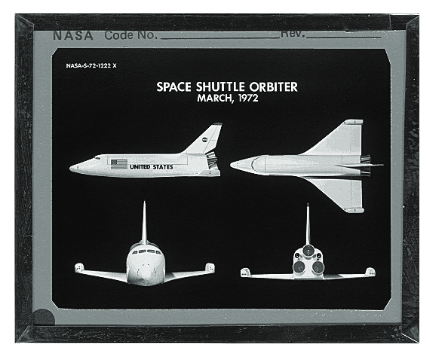 Bizarrely, the humble magic lantern even found its way into the space programme, with NASA producing glass-mounted lantern slides for use in their educational programmes in the 1970s. Rather than thinking about ‘pre-cinema’, with its whiff of technological progress and obsolescence, we should instead consider the magic lantern and the film projector as parallel kindred devices each with their own vocabulary and distinct purposes. Today, the magic lantern is flourishing. The Magic Lantern Society has an international membership organising performances, publications and a range of events throughout the year. Initiatives like the Lucerna web resource and major research initiatives like the Million Pictures Project and B-Magic have brought the lantern to the fore and many artists and performers are creating lantern slides for use in their own work. Some paint directly onto glass (a very exacting skill since the images themselves are very small and have to suffer the scrutiny and extreme magnification), others prefer to work digitally before producing slides for use in old-style lanterns. Using laser cutters and 3D printing, some of these latter day lanternists create elaborate mechanical effect slides and combine multiple images on screen just like their illustrious Victorian forebears. Today’s slide artists are at home in a variety of settings from intimate gallery spaces to full-scale theatrical entertainments involving actors, dancers and musicians. One such production using a Victorian magic lantern alongside digital projection and live music is Erewhon, currently showing in Edinburgh a part of the Fringe programme. 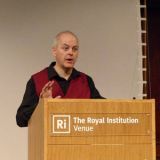 The author and performer Arthur Meek has commissioned an international group of artists to create original slide images for use in the show. In the interests of complete disclosure I am one of those artists and three of my own designs feature in the show. I attended a performance earlier this month, and experienced an intriguing blend of the old and the new. It seems there is still life in this four hundred year old survivor! UK première as part of Summerhall's Edinburgh Festival Fringe programme, 1-26 August 2018. Lasers and plastics and slides, oh my!